INDUSTRY.co.id - Jakarta - PT PLN Distribution Jakarta Raya (Dis Jaya) plans to develop a Public Electricity Supply Station (SPLU) facility with charging power of super fast electric car (fast charging). Development of SPLU fast charging is done to reduce the resistance in charging the battery on a regular electric car that requires a long battery charging time. It was General Manager of PLN Dis Jaya, Ikhsan Asaad when receiving the working visit of Secretary of Directorate General of Electricity, Agus Triboesono, Wednesday (14/6/2018) ago. "PLN will develop SPLU with various features such as using NFC transactions, E-Money QR Code, and fast charging facility," said Ikhsan. SPLU is an electric charging facility provided by PT PLN to serve the needs of electricity in public places as well as support for the needs of electric vehicles. There are now more than 1,411 dots installed in DKI Jakarta that can be searched by using Google map. "So far, SPLU-SPLU built by PLN is used by helping to close electrical access for street vendors, because so many have" hooked "electricity that is very dangerous, so we help him and they just buy electric tokens only," said Ikhsan. 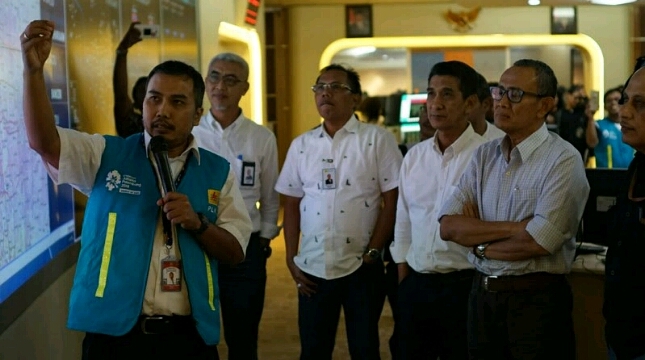 PLN continued Ikhsan, currently continue to monitor SPLU which is effective and that is not effective and if felt less effective then SPLU will be relocated elsewhere. SPLU will continue to develop its facilities so that its utilization becomes diverse. "We continue to develop SPLU, including used as a charger station for electric vehicles," said Ikhsan. When SPLU fast charging is available, then to recharge the electric car only takes 20-30 minutes. It is planned that this type of SPLU will be available by the end of 2018.